Go to http://www.mozilla.org and click the green Free Download button. Save the file to your desktop, then run it to begin the installation. Firefox can import your existing settings from Internet Explorer and Chrome. 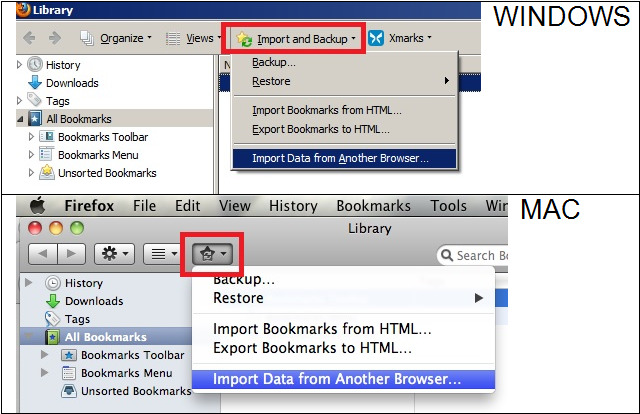 An import wizard will run when you first install Firefox (and is also available later via Bookmarks > Show all bookmarks, then see right for your OS version). This imports your Favorites, options, cookies, stored passwords, and a variety of other data. 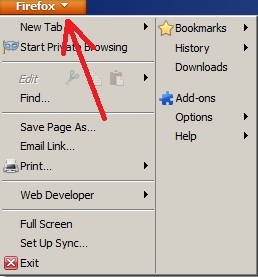 The latest version of Firefox changes the position of the Menu bar. It can be accessed now by clicking the white down arrow next to Firefox in the upper left corner of the browser window.